Capítulo 7 De Bancarrota Puede Mantener En Su Hogar! The most recent Great Recession left many people in our communities with the financial affects and scars of the real estate challenges of the recent years. There are hardly any of us who have not been affected by the historic real estate market crash that we have experienced here in Southern California. 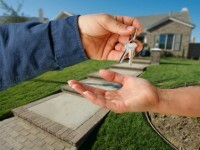 If real estate debt has made an impact on your life, Bankruptcy Law Professionals can help you. Whether you delt with a short sale, trustee sale, deed in lieu of foreclosure, or any other type of foreclosure to your primary residence or investment property, a bankruptcy may be the best way to rid of the looming deficiencies and debt that may still be following you after any of these activities have taken place. Or even if you are still currently dealing with a pending foreclosure or short sale, a consultation with Bankruptcy Law Pros may provide you with free information to help you make plans to put yourself and your family in the best situation as you possibly can after these types of activities. Let Bankruptcy Law Pros take a look at your situation and tell you what bankruptcy can do to help you get back on a path of improvement of your financial situation. Don’t let hanging real estate related debt continue to follow you around and destroy your hopes of owning your next home. Bankruptcy generally betters your chances of improving your credit and allows you to get yourself back into a normal, healthy financial situation rather than letting past real estate debt continue to damage your reputation and credit scores. Bankruptcy itself sometimes has an association to irresponsibility and procrastination, but you may not be the one to blame for this financial and real estate crisis you have been thrown into, and bankruptcy may just be the most RESPONSIBLE and PROACTIVE thing for you to do. 888 Marketing Copyright 2017, All Rights Reserved.